On Teachers' Day, the President said: "I would like to pay tribute to India's teachers, scholars and academics. They have drawn from India's age-old traditions of learning and wisdom and have contributed to India's reputation as a knowledge power." Kovind's remarks came during a speech on the theme of "Education as an instrument to shared prosperity' at Sofia University here. "They (teachers) are a source of pride for India. Across continents, Indian scholarship and academic excellence is recognised. It adds to the global economy and knowledge structures - and it earns India goodwill." 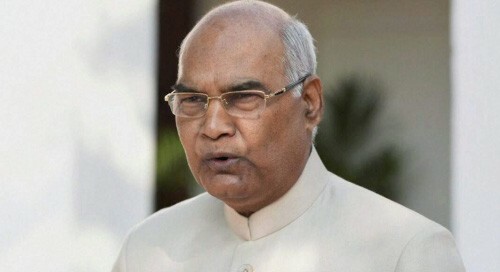 Kovind said the focus of India's education system, knowledge production and broader social and economic efforts "is to secure a meaningful future for our younger generations, both in employment potential and in contributing to social well-being." "Here Bulgaria and India, despite being so different, have common concerns and common aspirations," he said. "About a quarter of Bulgaria's population is below the age of 25. In India, 65 per cent of our people are aged below 35. It is the dreams of these young people, people such as those who are here at this University, that drive our endeavours," he said. The President said India would be happy to share its blueprints and its experiences with Bulgaria in terms of the Central European country's priorities. "India has a massive network of 903 universities and 39,050 colleges," Kovind said, adding "close to 40 per cent of the universities and 80 per cent of the colleges are run by the private sector."